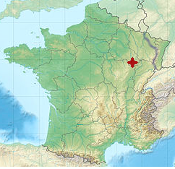 Langres is located about 80 kilometres north of Dijon. Leave the motorway A31 (Lorraine-Bourgogne) at junction 7 and take the D19 southward towards Langres. The village of Peigney is about 2 kilometres northeast of Langres. You can contact the association via our contact form.